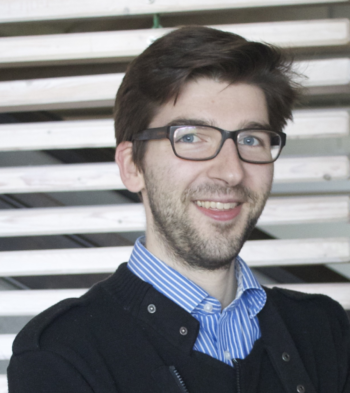 Hanno Degner is a Research Assistant in the EU-funded Horizon 2020 project „The Choice for Europe Since Maastricht. Member States’ Preferences for Economic and Fiscal Integration“, at the chair of Political Science/International Relations at the University of Konstanz. Since November 2011, he is moreover a PhD student at the chair. His dissertation project, which was supported by the Graduate Foundation of the State of Baden-Württemberg, investigates the causal relationship between crises and European integration. In his research, Hanno Degner focuses on EU decision-making on the national and the supranational level, especially in the area of Economic and Monetary Union, as well as on European integration, especially in times of crisis. Mr. Degner obtained a Master of Arts in Public Administration and European Governance at the Department of Politics and Public Administration of the University of Konstanz as well as a Master Études internationales et européennes at the Institut d’Études Politiques de Grenoble, France. Before he pursued his bachelor studies in political science at the University of Bremen. During his time of studies, he profited from scholarships of the German National Academic Foundation (‘Studienstiftung des deutschen Volkes’) and of the Franco-German University (DFH/UFA). Degner, H. and Leuffen, D. (2017). Powerful Engine or Quantité Negligeable. The Role of the Franco-German Couple during the Euro Crisis. EMU Choices Working Paper 2017. Degner, H. and Leuffen, D. (2016). The Choice for Europe since Maastricht. Member States’ Preferences for Economic and Fiscal Integration – Codebook (Draft). EMU Choices Working Paper 2016.